Lake Como is located in the Como Province in Lombardy, Italy. 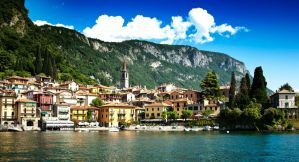 It's part of the Italian Lake District and is has long been a popular travel destination for visitors to Northern Italy. The area is known for its fresh air, beautiful mountains, and pristine lakes. It is well worth a visit if you're in the area. The area around Lake Como has a rich history and a beautiful and peaceful setting. Whether you're interested in hiking, rock climbing, or simply enjoying the atmosphere, this is a beautiful place to visit. 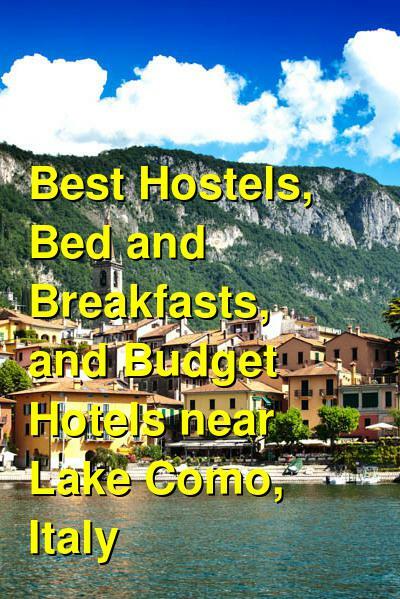 There are only a couple of hostels near Lake Como. There are several good bed and breakfasts and budget hotels as well though, so if you're traveling on a budget, it's best to keep an open mind about accommodation. How much do hostels in Como cost? A good hostel for solo travellers and groups. Lake Como Hostel La Primula (The Menaggio Youth Hostel) offers guest impressive views of the Lake. It's a popular and fun place to stay that has a friendly and welcoming atmosphere and a social environment. It's owned and managed by former travelers who fell in love with the area and wanted to offer affordable accommodation for all travelers. They offer some fun activities and perks for guests including delicious and reasonably priced meals, organized cooking classes, Italian language programs, and rock climbing or sailing courses. There are also bikes and kayaks available for rent and a licensed alpine guide who can take you on any number of tours or excursions. If you're interested in hiking in this area, then this is a great place to stay. There's also a beach nearby that is a nice place to relax for a while. The hostel has both private rooms and dorms available. Twin, three bed, four bed, and five bed private rooms are all available as are six and eight bed dorms. You can choose from female only, male only, or co-ed dorms. If you've come to Lake Como to enjoy the scenery and spend time exploring the area then this is the place to stay. It's location right by the lake and popularity with young travelers make it a top pick in the area. A good budget hotel for couples and solo travellers. Hotel Regina-Gravedona is actually a hotel that is affordable and relaxing for all travel types. It's surrounded by beautiful landscaping and offers a tranquil and pleasant place to stay by the lake. There are forty rooms in total and each is equipped with any modern amenities that you might need. Most rooms also offer balconies that look out over the beautiful lake. The hotel serves an impressive breakfast buffet every morning in the breakfast room. From the room you can look out on the landscaped lawn and sun terrace. There's also a private beach where guests can relax and enjoy the outdoors. Also available are a heated swimming pool, a small fitness room, and wi-fi throughout. If you've arrive with your own car, there is parking available. There are single, twin, double, three, and four bed rooms available. Every room has an ensuite bathroom. If you're looking for a peaceful and relaxing place where you can enjoy the lake, then this is the place to stay. It doesn't have the social environment of a hostel, but it does have nice rooms, plenty of privacy, and a great location. A good budget option for couples. B&B Sosta Sul Lago is another nice place to stay on the banks of Lake Como. It's a quiet and peaceful place that offers wonderful views and a very welcoming setting for guests. The ferry and bus stop are all nearby and it's easy to access Lezzeno town center as well as other towns in the area. If you enjoy hiking, there are a lot of beautiful hikes nearby and the staff can help you with any information or recommendations that you might need. The bed and breakfast offers a continental breakfast that is included in the price of the room and there is a nearby pizzeria and food shop where you can purchase other meals. This bed and breakfast is small with an intimate feel. There is a double room that has a stunning view of the lake and a triple room that can also fit four people upon request. Both rooms have attached bathrooms, bedside tables, and televisions. There's also a new studio apartment that has its own kitchen, refrigerator, oven, and dishwasher. It has a double bed and two single beds. The B&B also has a large terrace with tables and chairs that look out on the lake. This is a wonderful place to enjoy Lake Como.